Lesser Florican (Sypheotides indica), the smallest member of the bustard family is one of the four threatened bustard species of India. Though it has been given the highest degree of protection under Schedule-I of the Wildlife (Protection) Act of India, 1972, its numbers has gone down drastically. In 2011 it was declared as an Endangered species by IUCN. 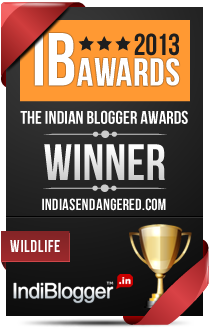 Ajay Gadikar an IT entrepreneur from Indore is an ardent bird watcher and conservationist. In this guest post, he shares his invaluable information about the endangered lesser florican and how one sanctuary in Madhya Pradesh can help save the species from extinction. Madhya Pradesh has a distinction of having two wildlife sanctuaries exclusively established for the conservation of Lesser Florican(Sypheotidesindica), namely Sailana sanctuary in Ratlam district and Sardarpur sanctuary in Dhar district. These are the places where the Lesser Floricans have been visiting over decades for breeding purposes. Sightings of the bird though have also been reported from Petlawad area in Jhabua district in the last 5-6 years. I have visited each of these areas to know about the rare bird’s breeding behaviour and why their count is not increasing above a certain number in Madhya Pradesh.Over the course of my observation I found that the lesser florican visits the Sailana sanctuary every year despite habitat loss but none of the birds appeared in Sardarpur sanctuary over the last 3 years. On the contrary an area in Petlawad has seen the birds visiting the grasslands every year now. Sailana Wildlife Sanctuary is located in Sailana and Piploda blocks of Ratlam district of Madhya Pradesh (M.P). The total area of the sanctuary is 12.96 sq. km. The area was declared as a sanctuary in 1983 to protect and improve the natural habitat of the Lesser Florican and promote the population build-up of this magnificent bird. Located at a distance of 19km.from Ratlam on Ratlam –Banswara road, Sailana sanctuary is the prime habitat for Kharmor – as the lesser florican is known locally – during the period of July to October every year. The sanctuary consists of three parts (i)Sailana village consisting of largely revenue land,(ii)Amba forest block of puiniakhedi and(iii) revenue land of village Sherpur .The revenue lands belong to individuals and the private holdings are cultivated lands. Amba forest block is grassland having scattered trees of Vilayti Babul, Ber, Khair and Palash. The topography of sailana is a vast, undulating plateau, interspersed with a few small hills, undisturbed protected water bodies and large open areas which are perfectly suited for many visiting migratory bird species. Not much has been studied about the other avifauna present in Sailana wildlife Sanctuary though over the course of my observation, I’ve been delighted to find over 140 other species of birds in the grassland habitat in the last 5 years. Grey Francolin, Painted Francolin, Rain Quail and Barred Buttonquail can be seen here round the year. Other birds include larks, pipits and many species of migratory birds including various species of raptors, warblers, shrikes and ducks. 3. A large number of local livestock graze in the area creating problem for the conservation of habitat. 5. The increase in the population of Blue bull in this area has always been a point of concern for the breeding females as they can accidentally damage the eggs of lesser floricans. 6. In last two years the important and protected part of sanctuary called Amba, has faced some issues related to mining. Illegal mining has taken place in this protected area of the sanctuary by a construction company. A large scale public movement was undertaken by the locals and NGO to save the sanctuary from the illegal mining and construction activities since last two years. Legal cases were filed in Green Tribunal court against the construction company, which has resulted in a decision in the favour of the peoples with heavy penalty imposed on the construction company to be used in the betterment of the sanctuary. The initiatives taken by the forest department are to give prize money to any field farmer who spots a lesser florican in his fields and safeguard the bird. Also a compensation is provided to any farmer if a lesser florican lays eggs in his field. This year the forest department is providing seeds of many indigenous crops free of cost to the farmers, so that the farmers in the area should divert from growing soya bean as the monsoon crop and shift to some indigenous crops cultivation. A new Conservation strategy: The use of organic farming. Habitat degradation due to excessive use of chemical fertilizers and pesticides in agriculture owing to depleting soils is one of the major threats to the existence of Lesser Floricans as well as other creature existing on the grass land ecosystem. These chemicals are killing a variety of insects and worms that constitute the food of the birds. It is therefore necessary to educate, encourage and support local people to shift to organic farming, or the least minimize the use of chemical insecticides in preferred breeding grounds of floricans. A lot of villages in the area has now taken up the organic farming which is a good sign. The common and main reason for depleting number of lesser floricans sums up as the loss of their habitat, i.e. grasslands, grasslands getting converted to cultivated fields due to the ever increasing demand for food grains. The change in the crops that’s being cultivated and the cultivation of Urad and other cereals replaced by cultivation of Soya beans over the years has also emerged as a grave threat for the floricans in all the areas. I find that at all places near the breeding grounds of the floricans in Sailana, soya bean is been cultivated which is also called as cash crops, Soya bean need frequent spraying of these chemicals resulting in indirect loss to bird population. The bird depends and feed on larvae and insects found in these fields and grasslands. A heavily contaminated diet can affect the breeding capacity of adults as well as the longevity of the young ones. It can results in to high mortality rate in newly hatched chicks and juveniles. SailanaSanctuary today still holds a very good chance to provide a safe and secure place for the visiting floricans in coming years. The Ratamba forest patch in the petlavad range of Jhabua has come up as a second ideal habitat for the endangered lesser florican in Madhya Pradesh. Lesser Floricans sightings are recorded here regularly here since last 5-6 years. 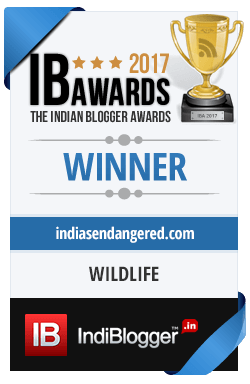 I recommend that this area should be marked as an Important Bird Area (IBA) under the Indian Bird Conservation Network (IBCN) program. As the Sardarpur sanctuary has been devoid of lesser floricans since last three years this area should be given more weightage to ensure that the population of lesser floricans should not dwindle further in Madhya Pradesh.